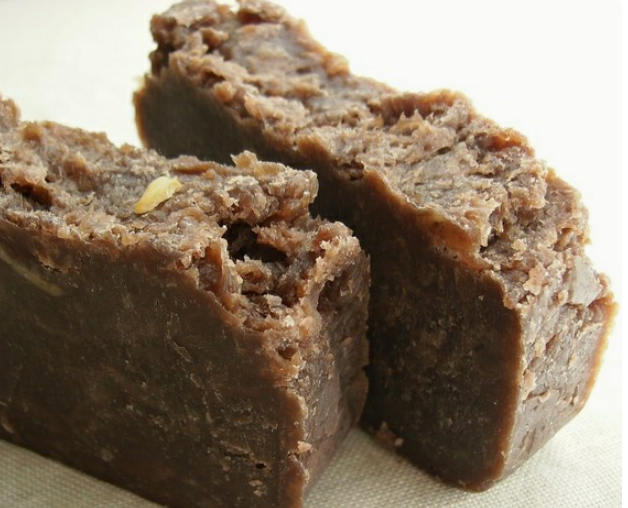 There has been so many questions on whether to use the popular African Black soap as shampoo. Personally, I will recommend the local African black soap mostly sold in the local shops or market, some folks calls it Ghana soap. There are people that have complained of having some various issues with their hair after using some of these branded soaps. Incass you are planning to use African black soap to wash your hair, i will advice you get original black soap, melt the soap with different oils of your choice on a very low heat, add honey and little shea butter. You can also add hibiscus powder, moringa powder, paw paw seed powder, neem powder, Aloe vera gel, pepper mint oil, lavender essential oil, in drops per an essential oil because these oils are very potent and likewise they are optional. If you are adding Lavender essential oil, make sure you add it when the soap mixture has cool down. If the soap is hard add oil to soften, do not use water. Store it in a clean container. Adding water to it will involve bacterial and it won’t last. This recipe is best, as it helps you to determine what goes in your scalp and you are sure you add what you want and also what works for you as well. If you can’t afford an essential oil or don’t know where to get one, just go ahead and use the ones you have. If you have them be sure to use them in drops because they are very potent. Use the comment Box to share your thoughts and experience!!! Incrível lançamentos , Saúde ! Very good information. I like natural products and I think this is an awesome way to do that. Hey Matias thanks for dropping by.